About Anna: I am specializing in sport massage for horses. Previously I have worked in racing for about 7 years, the experience drove me to want to fix racehorses and improve their well being! I am currently at my last year of degree but I have been massaging for the last 2 years. About Becky: I am a qualified physiotherapist and have been working full-time in professional sport since 2002. I am currently reading an MSc in sports physiotherapy, I have an equine bodyworkers qualification, and am looking to embark upon a canine hydrotherapy qualification. I have always have a love for horses ever since I was a small child and experienced my first pony ride aboard Topaz when I was 9 years old a beautiful little baymare with a heart of gold, and spent many a day over the years enjoying the disciplines of dressage, showjumping, cross country and point to point on both my own and other peoples horses. I have also always owned dogs, particularly gun dog breeds. 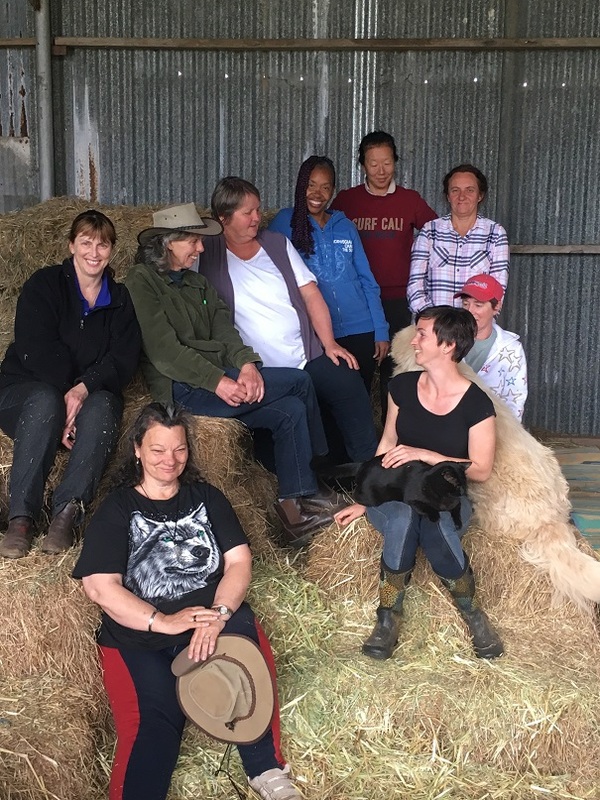 I firstly became a human physio and have worked at the top level within professional sports for many years, and decided to gravitate back towards my first love of the animals a few years ago and completed the equine bodyworkers course, and am looking to continue this line of work into the future. About Beth: Beth is the Director, Tutor and Practitioner of Equine Bowen Therapy since 2000 in the UK. Training courses also available in New Zealand. Click here for Beth’s website for details of professional training courses and qualified practitioners. All therapists who have trained with the European School of Equine Bowen Therapy are fully qualified human Bowen Therapists, have First Aid Certificates, fully insured to treat horses and people and have to be up to date with Continual Professional Development annually to be registered. Beth’s modalities include MBTPA Human Bowen Therapist, Equine Bowen Therapist, Reiki Master, Bach Flower Practitioner, Aromatherapist, Cranio-sacral therapy. Certified Natural Hoof Care Professional with AANHCP (Association for Advancement of Natural Horse Care Practices) Jaime Jackson is our director. About Christine: As a channel for the energy I act as a facilitator to bring you or your animal back to a place of peace and balance. With a lifetimes experience with animals and horses for the last 40 years. I have a natural affinity with all animals and nature, I can’t feel their physical pain, but by looking into their eyes I feel their very soul. With the best will in the world we can’t keep animals as they are truly meant to be, we can only do the best that we can for them and when they are struggling energy healing can help them find peace and balance. As a land healer I clear non serving energies to produce a calm, peaceful, balanced and healthy environment for you and your horse. About Emma and Paul: Myself and my partner Paul Barnett are both qualified applied equine podiatrists. We have both been qualified for 3 years. I offer a reduced fee for ponies (ME: Gosh I would charge more for the tiny ones, they are so much harder to do! :)) and reduced rates for groups of horses. I have worked a lot with young ponies and horses who need abit of time and patience. Note from Me: I don’t plan on making a list here for farriers etc, but proper barefoot trimmers treat many health conditions successfully such as laminitis and navicular syndrome to mention just two – thus are deserving of listing here! About Freya: I practise The Bowen Technique for people and horses. I feel so lucky that my passions in life complement each other so brilliantly. I love my work, the Bowen technique is an intelligent, kind therapy, with so much to offer…even to those who think there is nothing out there for them. And I adore my horses, there isn’t another animal that compares in my eyes. It is my privilege to be able to help people and their horses into a better situation. Location: I live and work in the Midlands of England. I am based on the Nottingham/ Derbyshire border but travel out to Lincolnshire and Leicestershire regularly. Facebook: Bowen for Humans and Horses and group ‘ Holistically Happy Healthy Horses’. About Julie: I treat people with Bowen therapy and horses with its equivalent; Equine Muscle Release Therapy (EMRT). I am also qualified in EMMETT for horses, Reike and Quantum Touch energy healing modalities and EFT ( Emotional Freedom Technique). 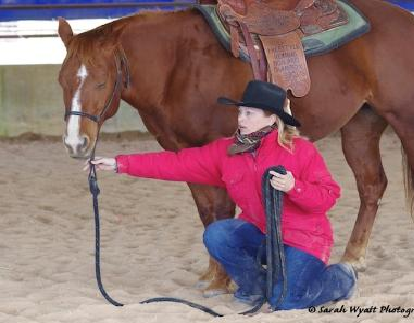 I regularly take training in Classical Groundwork skills with Thirza Hendriks from the Netherlands, so I can help riders rehabilitate their horses too. I am also an Alignment riding Therapist (ART) which helps riders become straighter and more in balance with their horses, via awareness and structural integrative exercises, both dismounted and mounted. I run regular workshops in ART. I am passionate about animal welfare and helping horses and their riders have a deeper understanding of each other. I also want to give the horse a voice and spread awareness of new research, especially of the anomalies found by Sharon May Davis in her dissections ( which I have attended), which affects the way we need to work our horses for long term soundness, and in some cases renders the horse unable to work as we would wish, leading to abuse. I am passionate about horse and human biomechanics and therapies and am constantly learning. I am also completing a Mindfulness practitioner course, which helps me connect more deeply with my own horses. I am also author of the upcoming book ‘What Horses Really Want’. Location: Works in Oxfordshire and surrounding counties, UK. About Kim: Kim is a shamanic practitioner specialising in one on one or remote (distance) work with horses and their human companions. Location: Victoria, Australia is where the College centre is located. We offer training in England. About Libby: I am teaching training and assessing for limited hours but for now I am not doing the sports massage for time and health reasons till further notice. Equine sports therapy, horse care and Assessor & teacher. Horse training schooling in harness, under saddle and on the ground Advanced EBW. BHS, HK&R4, AI, NVQ Assessor with over 40 years experiance with Equines and associated businesses. Equine sales specialist for all that is needed for the care and maintinance of the equine & their environment. What Lindsay does: She is a certified Veterinary Thermographer, running a mobile business in SW England. Lizzie’s Speciality: I work with Body Mind Awareness with people especially with imbalance, trauma, fears, pain, stress, reducing of strain and improved body mapping. About Lizzie: | am passionate about raising peoples awareness generally. Teaching and Empowering them how to in the moments recognise the signals from their system that is alerting them that something is occurring and to learn to interrupt and then how to use the information given for their balance and harmony. Like a lot of my peers my best teachers have been my horses, and my riding accident was my call to adventure and I am grateful for the call and the path that I am walking. Location: the West Midlands area, covering Birmingham, Stafford, Worcestershire and Warwickshire. About Louise: I am a qualified Equine Bowen Therapist – trained with Beth Darrell at European School of Equine Bowen Therapy. I am also qualified to work on dogs and people. 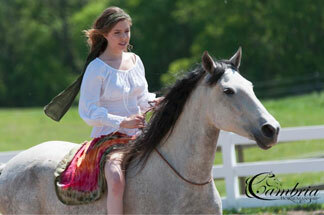 About Pauline: I’m a certified Equine Natural Movement Practitioner I qualified in 2011. My qualification uses the principles of Structural Integration to bring the horse back into balance and address a whole range of problems the horse encounters. which provides full details of what I do and contact details aswell. I’m also a level three advanced Personal trainer specialising in rehabilitation and have been a Riding for the Disabled Instructor and Training Adviser for 14 years. I’m passionate about horses and treating them with dignity respect and understanding and my mission is to educate people in creating a more natural environment for horses to be managed and trained. My greatest sense of achievement is in being able to help people who are either injured or disabled and be part of improving the quality of their lives same applies to horses. What Sarah does: She is selling an ebook and 4 month course on learning how to barefoot trim. About Sarah: Trimming Qualifications = Self Taught (the horses hooves have qualified her). She is a Member of the Bristish Naturopathic and Osteopathic Association and you can read more about Sarah, her high performance barefoot trimming and reviews on her high performance barefoot trimming on her website – click here for that website. Location: Scotland Area covered – within 20-mile radius of Dunfermline, Fife. Longer distances by arrangement. About Tracey: I am a qualified instructor / coach / lecturer and I specialise in helping people experiencing behaviour problems using the science of learning theory and humane re-training methods. (Qualified equine behaviour consultant, trained by Dr Debbie Marsden). Qualifications: MSc, BSc (Hons) Equine Science, BHSAI and UKCCL2 coach, EBC. Phone: 0870 850 2313 5. About Verm-X: is a 100% natural formulation for the control of intestinal hygiene. Verm-X is fed over a period of time (see individual pack for details) and works to create an environment in the gut and digestive system that is able to eradicate and expel any intestinal challenges offering natural and daily protection. Unlike conventional pharmaceutical products, that act with more of a purging effect, Verm-X works more gently as with the regular feeding of Verm-X the environment Verm-X builds will stay maintained throughout the year giving your animals constant protection. You cannot stop your animals from picking up intestinal challenges; the key is stopping them from settling and doing their damage.